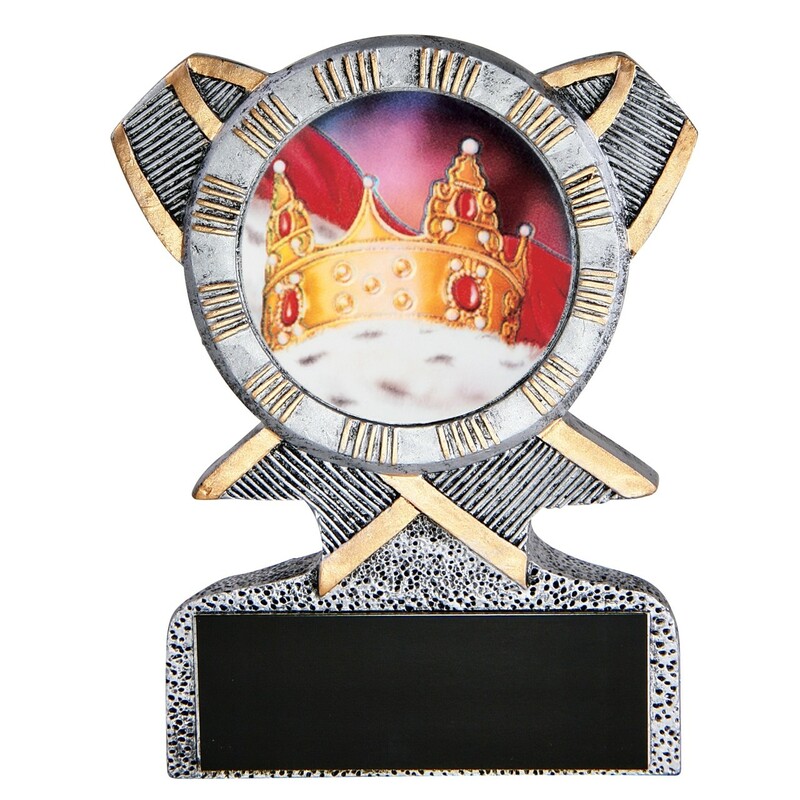 For junior or senior prom, college fund-raising male contests, and other joke contests, award the male winners these magnificent King Crown Resin Awards.The ultimate symbol of kingship, the circular resin-crafted and pewter-finished trophy is set on cross-ribbon backrest highlighted with gold tones. The center includes a circular, full-color holographic insert of a crown on a royal cape. Total trophy height is 5 inches.